Whitehorse Daily Star: Wallingham rink drops tiebreaker 6-5 to P.E.I. Wallingham rink drops tiebreaker 6-5 to P.E.I. Joe Wallingham’s dream of a championship round berth ended Tuesday at the hands of Prince Edward Island skip Tyler Smith. Smith’s run then ended abruptly this morning at the hands of Northern Ontario’s Tanner Horgan. 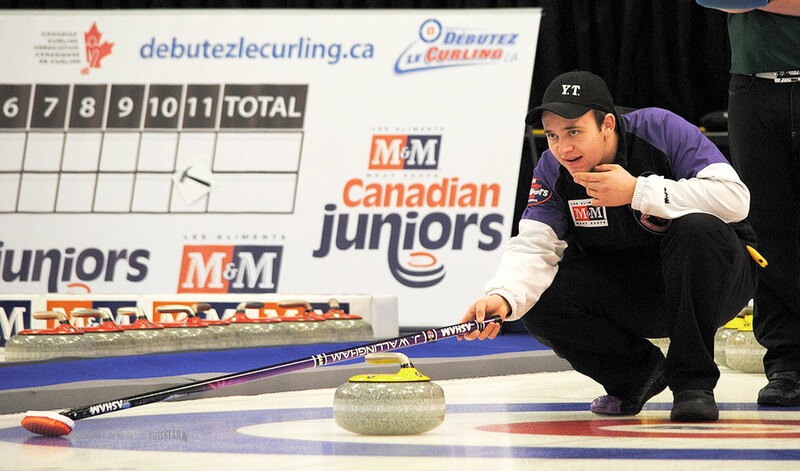 The last 24 hours at the 2015 M&M Meat Shops Canadian Junior Curling Championships have featured plenty of tense games as teams began to split off into either the championship or seeding rounds. Wallingham, an 18-year-old skip from Whitehorse, is making his third straight appearance at nationals. Playing in the first game of a two-round tiebreaker last night, Wallingham’s northern squad stole three in the third end for an early 4-1 lead. 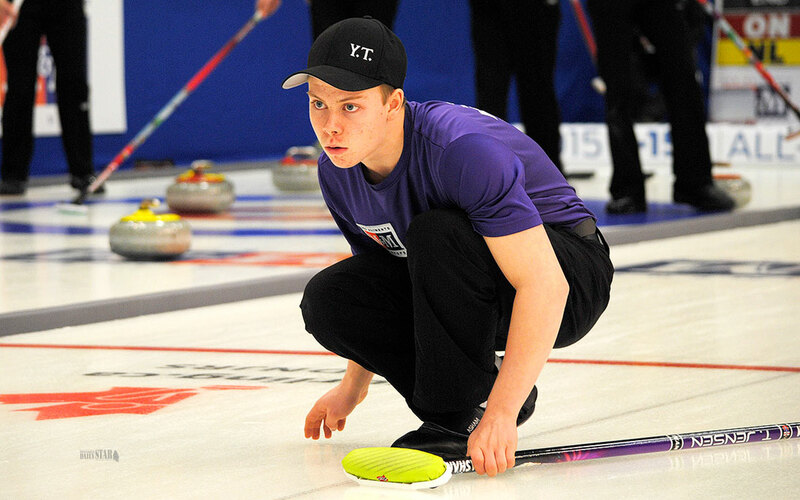 But Smith, 16, from Montague, P.E.I., bounced back to score a triple of his own in the fourth en route to a 6-5 victory that wasn’t secured until Wallingham flashed on his last-rock takeout attempt in the 10th end, giving P.E.I. the steal and the win. “We had a bad end there, but other than that we played pretty solid,” Smith said post-game. Tied 5-5 after seven ends, Wallingham held the hammer from then on, but could not capitalize. P.E.I. went on to lose to Northern Ontario this morning in their second-round tiebreaker. Horgan scored four in the 11th end to claim a 9-5 win and the eighth and final spot in the championship round. The extra-end loss will see Smith join Wallingham in the six-team seeding round. Wallingham could not be reached this morning, but prior to the tournament in Corner Brook, Nfld., he told the Star he and his teammates were gunning for a spot in the championship round. He and teammates Brayden Klassen (third), Trygg Jensen (second) and Spencer Wallace (lead) will now compete for seeding in next year’s tournament in Stratford, Ont. Following that, they will participate in a mixed doubles event over the weekend. Meanwhile, Bailey Horte’s Yukon women’s team earned their second win of the championship last night, defeating N.W.T. skip Carina McKay-Saturnino of Inuvik 5-3. Horte and teammates Kelsey Meger (third), Kelly Mahoney (second) and Sian Molloy (lead) improved their record to 2-5 with the win. The team will compete for seeding the rest of the week, facing Newfoundland tonight. Wallingham’s rink has the day off.